...so each year we try very hard to take on a particular project to support not only monetarily but with whatever gifts we have to share. We set no parameters around these projects and meet early in January to see how we can meet a need. Sometimes the giving is something small like a free career development workshop for a non-profit organization, or it may be a donation. The actual service we provide is not the most important thing, though we seek to add value and create a return on investment. What is important is that we create a culture of giving. Our partners and associates know that we value ethical, servant leadership. Not only do we teach it, we live it. These children attend a school run by Fernando and Patricia Lamberti. This school serves the community by teaching the children values as well as an educational curriculum. Bridges Consulting Services donated a gift to a small school in Cordoba, Argentina. This school is run by a former professional soccer player, Fernando Lamberti and his wife Patricia. They teach ethical values as well as reading and writing to these sweet children. The whole community benefits by the services they provide not only to the children but to the mothers of the children. Just recently Fernando has realized a life's dream and started a soccer school in Cordoba, Argentina that will not only teach soccer but will strengthen the whole community. Bridges Consulting Services looks forward to partnering with them in the future. Each year since Bridges Consulting Services opened their doors, we have donated leadership development opportunities like the Birkman Profile assessment to non-proft organizations. Because our vision is to support organizations that make a better world, we begin at home. Some examples of these partnerships are Escambia County Health Department and the UCP of Pensacola, Florida. Additionally, we provided many free Birkman assessments to managers and teams like the leadership team at My Father's Vineyard Church in Pensacola, Florida. 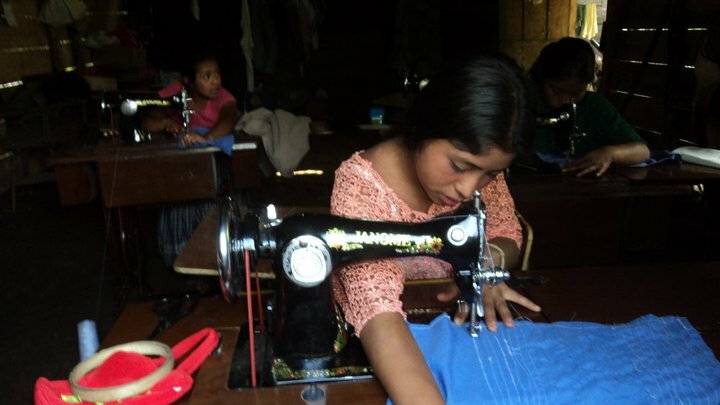 In 2010 Bridges Consulting Services purchased and donated four non-electric sewing machines to a Guatemalan village through the Amistad Foundation based in Rogers, Arkansas. This village desperately needed resources to create self-sufficiency. We were able to provide them a means to make products that sold in local markets. Through the gifts of many others they were able to grow cabbages and raise pigs which generated a much-needed cash flow. Click on the image to the left to view the slideshow. Do you have a cause that could use help? Send us your need. We are now planning our Seed Projects!